This model will seduce you with its design and comfortable seating. We chose this chrome base that has impressed us with its elegance and simplicity. A combination of materials that harmonise perfectly together. 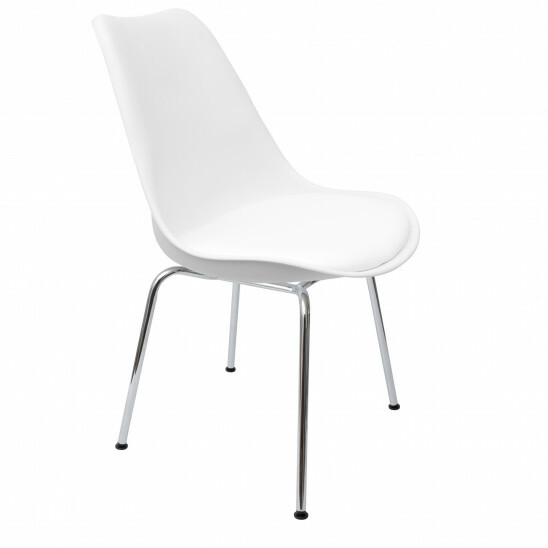 The perfect chair to complete a modern design and interior. Available colours: White, black, blue, purple, coffee, orange, green, yellow and grey. Ideal for: Offices, meeting room, living room.